⁠DE ADDICTION CENTRE , ALCOHOL DEADDICTION TREATMENT CENTRE IN MADURAI, DINDIGUL, THENI, VIRUDHUNAGAR, ARUPPUKOTTAI, RAMNAD, SIVAGANGAI AND TIRUNELVELI. Alcohol Deaddiction Centre madurai Inpatient treatment programs helps those who suffering with addiction problems from their past days of life and admit them into a treatment facility.Drug deaddiction centre madurai offers 24/7 care from professional staffs.This alcohol deaddiction treatment centre inpatient care helps to patients stress and by removing the addiction patients from temptation and the ability to relapse In De Addiction treatment madurai done during detox and during rehab. 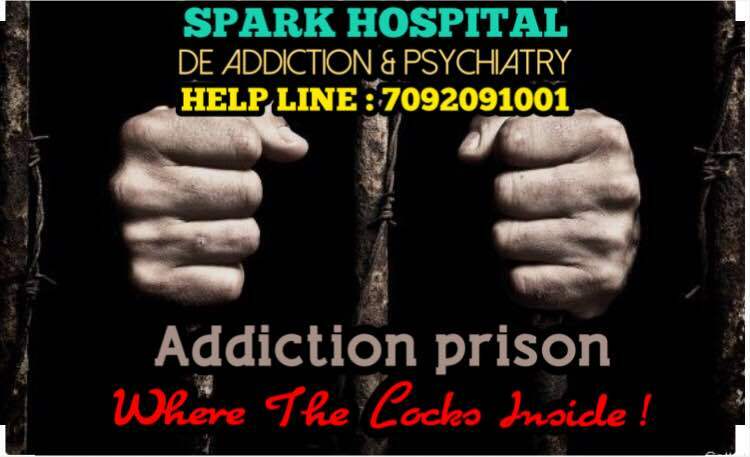 De addiction treatment centre madurai Inpatient or residential treatment is recommended treatment model for patients who have long-standing addictions, Neurotic, Psychosis care or mental health conditions. In Drug De Addiction centre madurai Inpatient treatment may occur at one of two locations: Alcohol/Drug Deaddiction Care hospital. Inpatient facilities at Alcohol deaddiction hospitals offer more intensive, around-the-clock access to medical services and supervision from Psychiatrist and General Physician professionals. A Drug De Addiction Centre residential facility is Half way hospital setting.Here inpatient facilities that are Halfway hospital-based will not offer around-the-clock access Psychiatrist, General Physician professionals.We do offer 24/7 care from staff personnel, and access to tie up hospital-based services will be arranged when necessary. Our Alcohol Deaddiction treatment madurai, Dindigul, Sivagangai, Theni, Virudhunagar, Aruppukottai, Ramnad and Tirunelveli Luxury inpatient facilities offer amenities that can help make your stay more comfortable. Our Drug De Addiction treatment centre Executive inpatient facilities provide a high-end environment that caters to busy professionals, allowing these patients to maintain an ongoing involvement in their work responsibilities while still undergoing inpatient addiction treatment.Our Drug Rehabilitation centre madurai Gives a Healthy environmental based Treatment.Alcohol Rehabilitation centre Haves top notch facilities which brings patients speedy recovery.Our De Addiction treatment Centre in madurai help you to find yourself here! !